These are exciting and challenging times in the energy industry. On one hand, the industry is enjoying the most significant increase in energy production capability in decades due to technological advances. On the other hand, environmental concerns related to fossil fuel emissions and an increasingly difficult regulatory environment are necessitating the development of alternative forms of energy that are renewable, cleaner, and reduce harmful emissions. With global energy demand expected to rise 30% - 40% over the next 20 years, the industry is challenged to seek better solutions to meet the global energy demand. As an industry, the primary objective is to deliver energy commodities and services when and where they are needed at the lowest possible cost, safely and reliably. 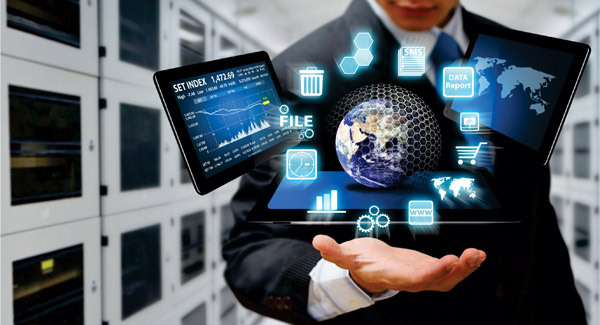 The use of innovative technology is critical to quickly gather and convert data into useful business information, enable critical decision making, and achieve your business objectives. A reliable and trusted technology partner who understands the nuances of the energy industry can help you accomplish these objectives. Enhance your ability to collaborate and distribute information across a geographically diverse workforce for enhanced access to data to enable better decision support using Microsoft SharePoint. Reduce costs by moving some of your applications infrastructure to the cloud with Microsoft Azure. Use Business Intelligence & Analytics to help you analyze large datasets from operations, extract meaningful and illuminating information, and identify where action is required. Enhance field data services, including PLC / RTU configuration services and SCADA installation, upgrade, or custom display configuration. Develop mobile applications to help improve the efficiency of your mobile and field workforce. Enhance system integration and build custom applications. With the advent of game-changing natural gas exploration and production technologies, unconventional resources that were previously too expensive to extract have significantly increased the world's viable supply of natural gas. This industry change has thrown traditional supply/demand relationships into disarray and put downward pressures on natural gas prices, pushing them consistently below $3.00/MMBTU. The gas glut and it's depressed pricing has pushed E&P margins down, leading companies to defer lean gas related initiatives in favor of rich gas supplies. GoVirtual understands the role of IT in improving an organization's effectiveness in the natural gas industry. Whether you're exploring, producing, gathering, treating, or transporting natural gas and NGLs, GoVirtual can partner with your business and IT staff to help you select the right set of IT initiatives to lower costs, enhance collaboration, and distribute the right information at the right time so your company can deliver energy safely, reliably, and with the highest possible operating margins. Integrated software solutions to help produce & deliver petroleum and its derivatives reliably and safely with enhanced decision support, collaboration, and lower costs. Costs to find, produce, and transport oil continue to rise, especially with the broader adoption of non-traditional exploration and production methods. Increasing public pressures and progressively hostile policy making has surfaced as a result of health, safety, and environmental challenges in tapping new exploration sources. An aging work force and insufficient numbers of qualified human resources exist to meet the needs of rapidly rising US production. Petroleum companies that invest in the right set of technology solutions overcome these industry challenges. By selecting GoVirtual as your trusted IT advisor, you can drive down IT costs and increase efficiency. The energy supply & trading industry faces a variety of operational challenges today. How do I make the best use of available information sources and analytics to determine the best time and market to buy or sell my commodity? How do I optimize a complex set of commodity prices, transport costs, and storage fees to satisfy my supplier and my end customer? It's a competitive environment and it seems like more and more is expected of my staff. Attracting, developing and training qualified people is a challenge! How do I provide tools and systems that help make my staff more efficient and provide them with the most valuable information precisely when they need it? As the pace of business accelerates and the industry continues to leverage technology, market forces will continue to drive margins down. In this environment, you must embrace technology solutions to keep up with your competition. Enhance your ability to collaborate and distribute information across trading desks, geographies, or trading partners for enhanced access to data and better decision support using Microsoft SharePoint. Move the right applications infrastructure to the cloud with Microsoft Azure to reduce expenses. Analyze your supply and market data with our BI practice to extract information about your business so you know where attention is needed now. Utilize mobile applications to improve the efficiency of your mobile workforce. Enhance system integration and build custom applications so you can develop the best solutions with the greatest value for your front office, middle office, and back office functions. There are constant challenges for companies that provide equipment & services to the energy industry. In addition to quality and service expectations, buyers are increasingly driven by cost. How do you help prepare your company to succeed in this cost-sensitive environment with increasing regulations and customer and partner expectations? Leveraging the right technology solutions can enable these companies to run operations efficiently and grow profitably in this business environment. Deliver cost-effective technology solutions to run your business. Provide collaborative solutions for your customers and partners to come together easily, securely and share information effectively. Install systems to ensure your company standards are met, and that the right processes are followed to protect your integrity and reputation. Provide your staff with critical business insights and intelligence to make the best business decisions. Connect your mobile work force to your business so vital information is available to them and they can conduct business anytime, anywhere. The energy industry is rapidly changing and managing energy businesses is becoming increasingly complex. There is high demand for energy-specific software solutions to meet today's needs. Solution customization continues to increase in complexity, often requiring flexibility to support new niche capabilities across multiple platforms and localized environments. The cost to find, produce, and transport hydrocarbons continues to rise, raising fuel costs for REPs.
Health, safety, and environmental issues pose greater risks as we venture into new environments to explore for energy, and public pressures influence policy-making and the energy agenda. Human Resources. The number of Retail Electric Providers in the US continues to rise and the need for qualified people to run these businesses rises with it. Companies that utilize tech solutions to their advantage will overcome these challenges, enabling them to enhance their services, customer and partner interactions, and ultimately, profitability. GoVirtual understands how these technology solutions can be leveraged by Retail Electric Providers to improve your organization's effectiveness, lower its costs, and enhance your ability to deliver power safely and reliably. Delivering necessary technology solutions while minimizing IT spend. Keeping a disparate work force connected to vital information via their mobile devices. Standardizing work flows and enabling business processes to be followed whenever and wherever business is conducted. GoVirtual is the right IT partner help you adopt technology solutions to survive and grow in an environment of tougher regulations, budgetary pressures, rising costs, and increased customer and partner expectations in the alternative energy industry.